Pittsburgh native Jerome White Jr. is the biggest star that you never heard of. Wearing a do-rag and askew baseball cap, he croons syrupy ballads with a Sinatra-meets-Jarreau style. This 26 year old has mobs of women screaming after him. His songs about lost love are sung in perfect Japanese. His fan base is also Japanese. 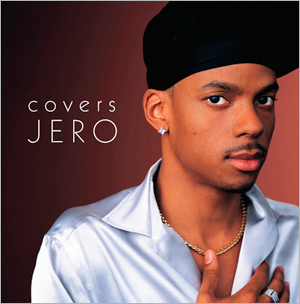 Jero (his professional moniker), is something unique. An African-American man (his maternal grandmother was Japanese) who has a hip-hop persona singing ballads that are distinctly Japanese accompanied by over-the-top symphonic orchestrations. That is definitely a first. And, there probably won’t be a second. Keep in mind that Japan is one of the most homogeneous countries on earth. Gaijin (foreigners) are generally associated with crime, litter, sloth and other unpleasantness. Xenophobia is the overwhelming attitude of most Japanese... which would seem to make Jero’s success impossible. The one thing that makes him the exception to the hard-lined rule is his grandmother.